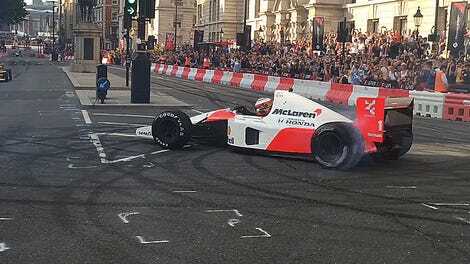 While it was clear that Lewis Hamilton would likely end up winning his fourth-straight British Grand Prix pretty early on, it really didn’t help that all of Ferrari’s tires decided to explode in the final lap of the race. Hamilton’s victory now puts him just one point behind points leader Sebastian Vettel for the Championship. Vettel ended P7, and it wasn’t due to a wheel puncture in the final lap—that was just the bad luck icing on the cake. Oddly enough, Vettel’s Ferrari teammate Kimi Raikkonen was in P2 when one of his tires ruptured in the second-to-last lap as well, ceding his position to Valtteri Bottas and settling for P3. Lewis Hamilton’s fifth British Grand Prix win today matches Jim Clark & Alain Prost, and he celebrated by crowd surfing while Bottas and Raikkonen waited patiently in the conference room. An unfortunate race for Ferrari, and it will be interesting to see what drama unfolds in Hungary as I’m sure Vettel will be hungry for points. 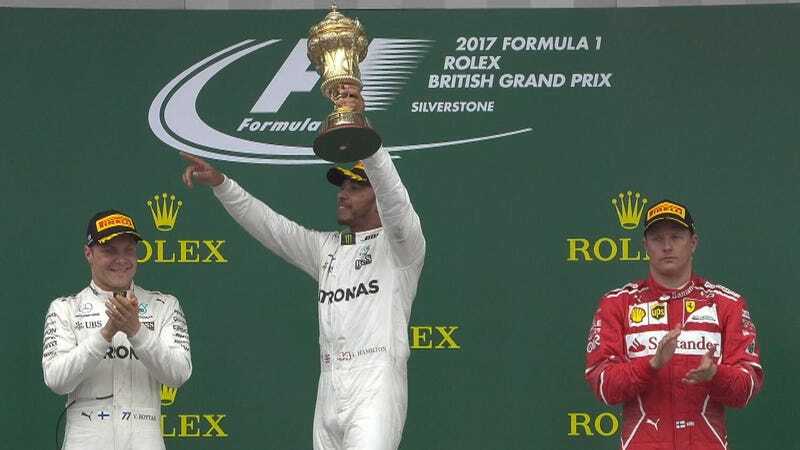 The good news to takeaway here is that Jenson Button finally made it to podium at the British GP.